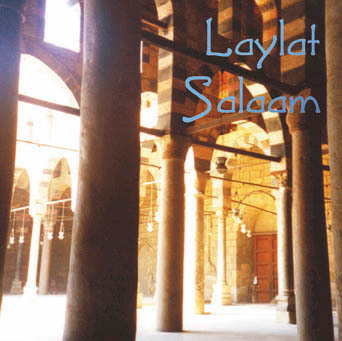 Laylat Salaam (Night of Peace) is the band's fourth CD, and was released in the Spring of 2001. 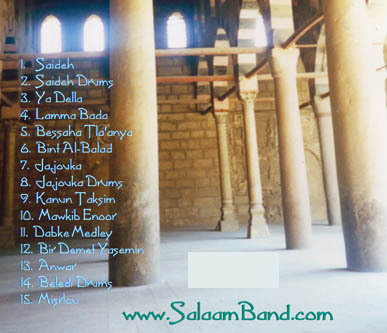 This album features traditional folk and classical music from throughout North-Africa and the Middle East. Included are tunes from Morocco, Egypt, Palestine, Lebanon, Andalusia, and Turkey. There are two Mohammed Abdel Wahab compositions (Bint Al-Balad & Mawkib Enoor), as well as a medley of Dabke songs.